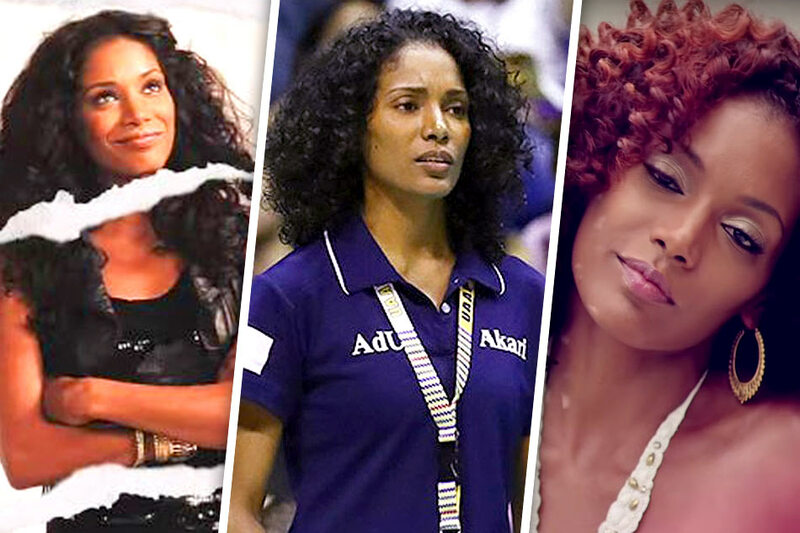 Screenshots from the "Nothing on You" and "Dive In" music videos featuring Adamson Lady Falcons coach Airess Padda. It was back in 2016 when Airess Padda first started turning heads of Filipino volleyball fans when she was named coach of the Adamson Lady Falcons. And it didn't take long after that for her name to spill into the lifestyle pages — no doubt thanks to her undeniable beauty, "fitspiration"-worthy frame and spunky, curly hair. But long before she made Manila her new home, she was already winning hearts over as one of the "beautiful girls" in B.o.B and Bruno Mars' hit music video "Nothing on You." ABS-CBN Sports first got wind of the trivia when a fan brought it up via social media. As pointed out by her fans, she features prominently in the video (particularly in the 1:37, 2:32, and 3:27 marks). But that's not the only music video she appeared in apparently, as two years later she bagged a starring role in Trey Songz's "Dive In." In it, she's portrayed the hypnotizing woman Songz, best known for his hit "Can't Help but Wait," falls in love with.